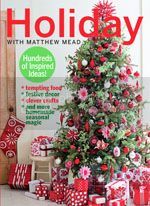 Amy Locurto, a graphic designer and lifestyle blogger, has designed content for Reader’s Digest, Holiday with Matthew Mead, Flea Market Finds, Disney, The Pioneer Woman Food Network Show, Parents Magazine and FedEx Office. Amy has written and co-hosted an online show and also featured on numerous web sites, morning TV talk shows, magazines and newspapers! Her blog, LivingLocurto.com has over 500,000 views per month and is named as one of the top 100 design blogs on All Top. Click here to see what professional organizer Anne Blume had to say about Amy’s Days of the Week Clothes Tags.